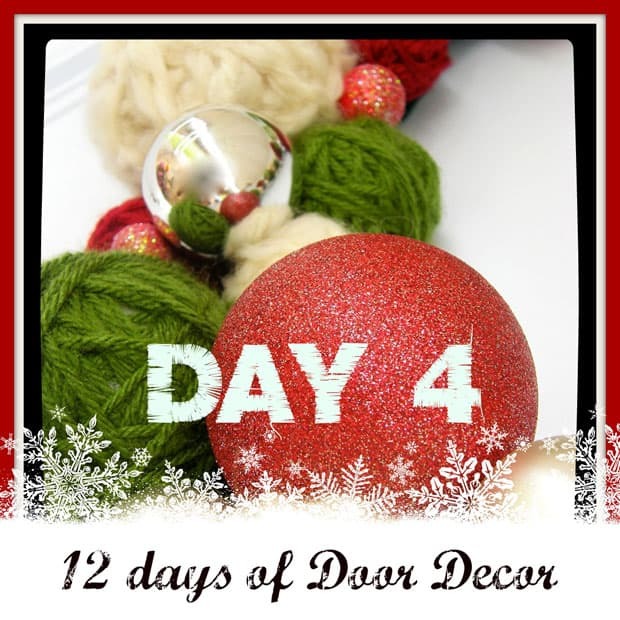 Welcome to Day #4 of the 12 Days of Door Decor. I’m so happy to share todays project with you. Although not a new idea (just Google it, you’ll find about 4000 variations) I couldn’t resist making one too! I love to knit, and as any knitter or crafter knows buying yarn is just as fun as the craft itself. 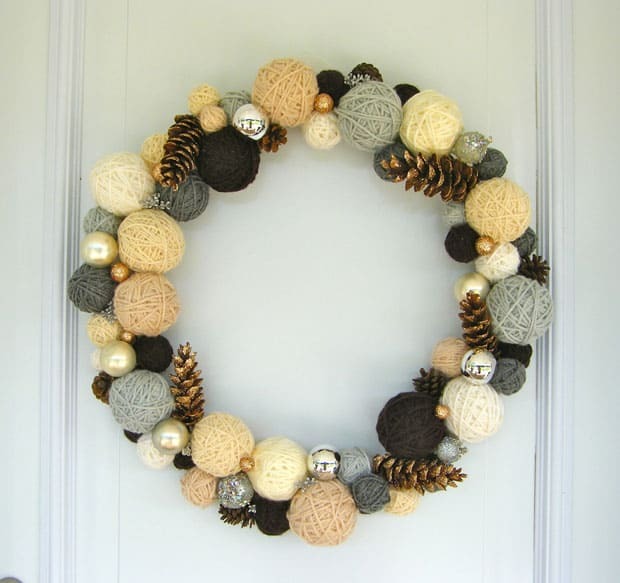 Plus this wreath is a great way to use up ends left over after your project is complete. Without further a due, here is Day #4. You may be asking yourself “why go to the trouble of the toothpick?” (I asked myself this very question) But… by putting them on a toothpick they become reposition-able, they don’t make a hot gluey mess if you use too much glue, and because I made these to sell I am confident that they aren’t going to fall off. 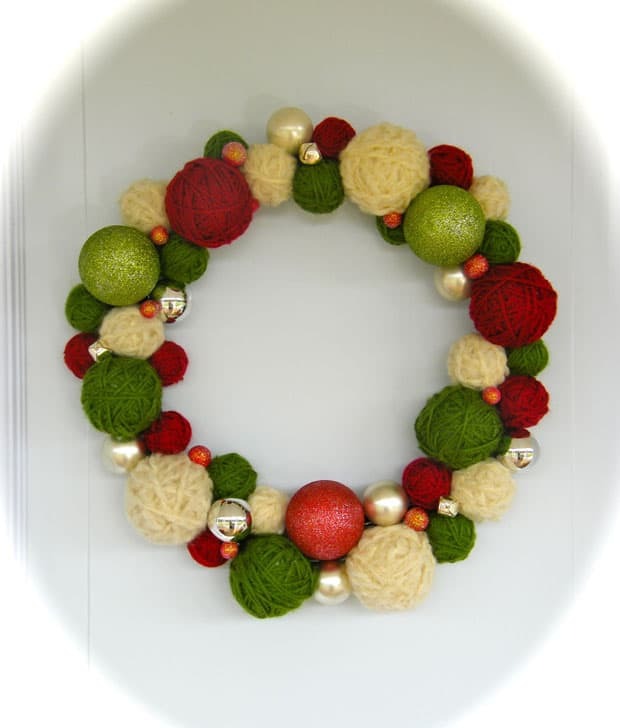 I hope you enjoyed Fynes Designs version of the Yarn Ball wreath! Whats up tomorrow? A bit of Glittery business you won’t want to miss! Great ideas and thank you for the tutorial!! 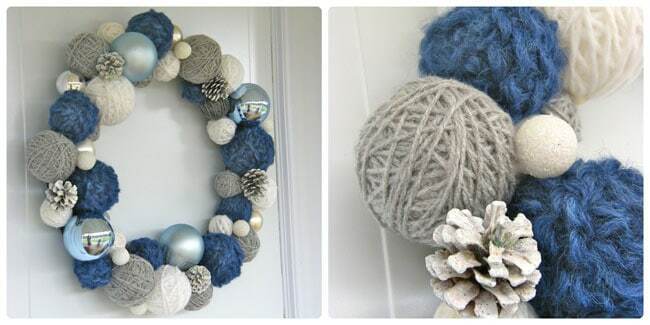 I own the blue and silver one, my boyfriend got it for me last year at Summerset Craft Fair, I absolutely love it and your stuff!! Thanks so much Elizabeth, I’m glad I could help spiff up your door for the holidays! 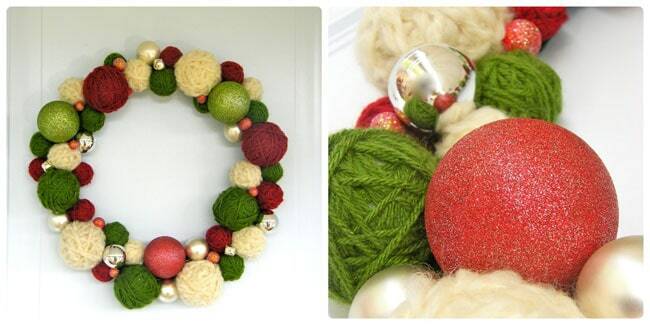 I love these wreaths! I bought a BIG of yarn and I am going to give this a try! I love, love, love this idea! I’m in idea heaven right now. So many possibilities!